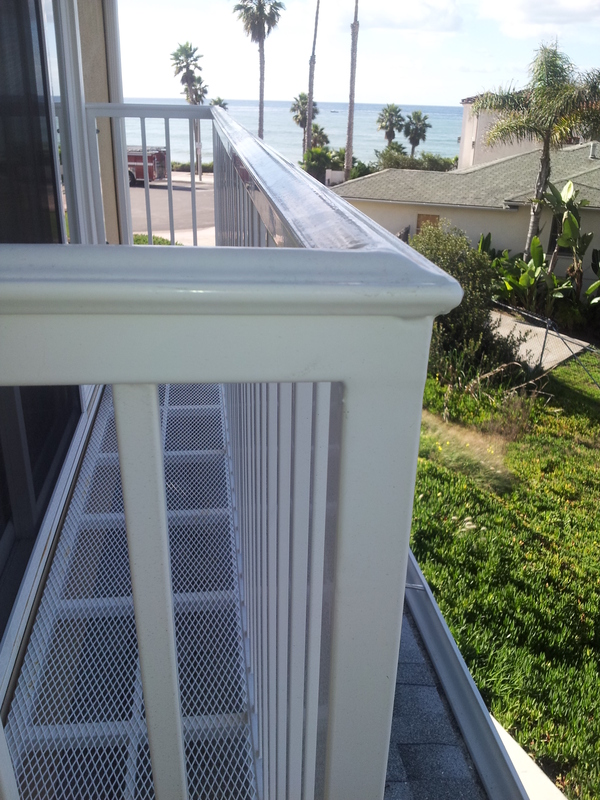 This client in San Clemente Ca. 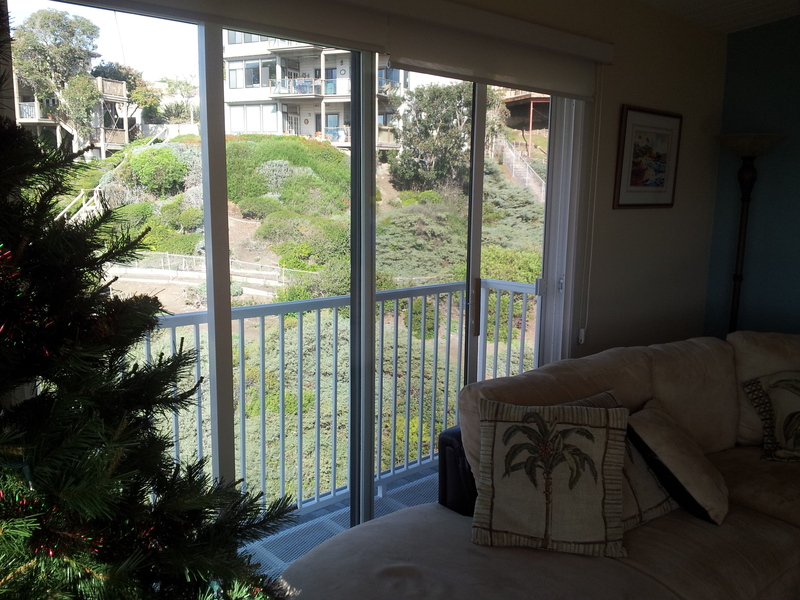 was looking to build a deck to enjoy their views of the sandy beaches and pier from their own living room. 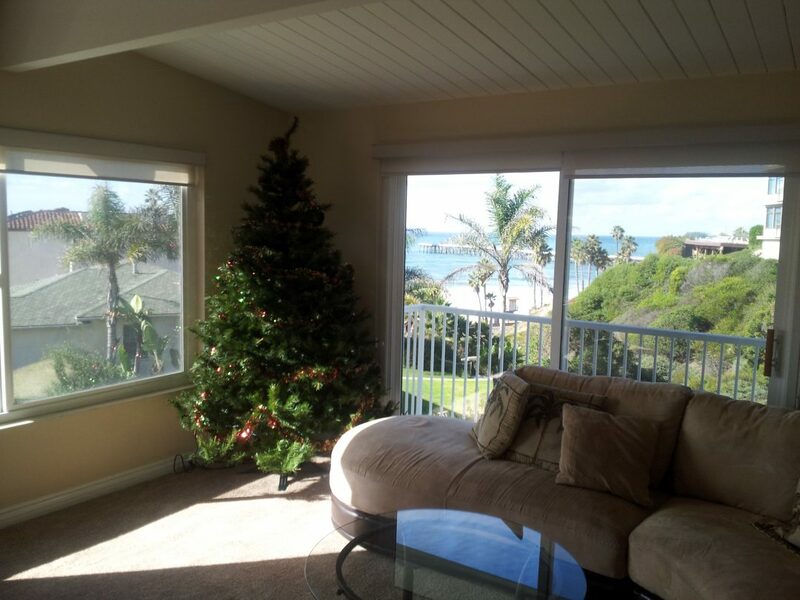 The existing window was a nice view but the daily breezes from offshore predominately came through this window. 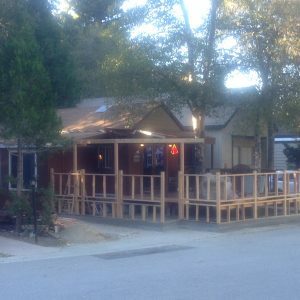 They were hoping to open it up, add a slider and build a deck. 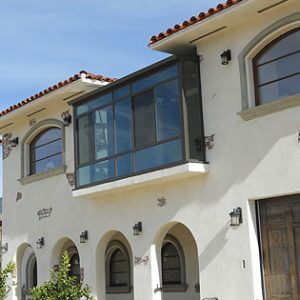 Sun Boss was working with the city on the homeowners behalf and found that the sensitivity to owning a beachfront property on the coast raised a lot of issues. Number one the canyon had been rezoned since the house was built, so technically the house encroached into the canyon setbacks. This was a huge roadblock to being able to add a new deck in this area. 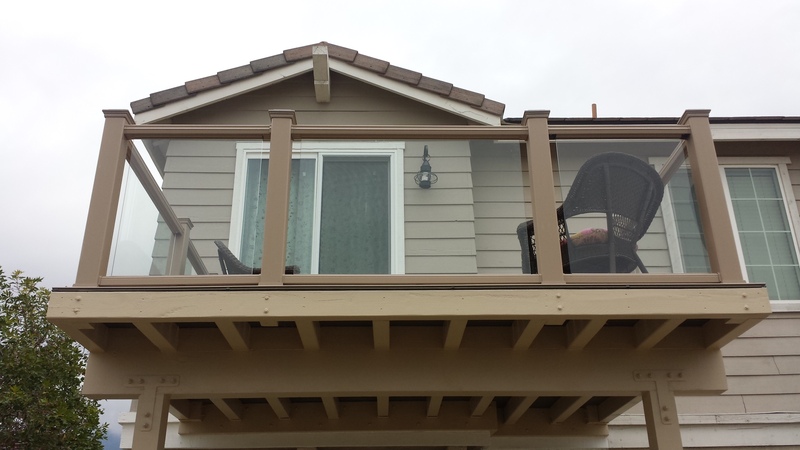 The project was shut down in regards to adding a deck, so Sun Boss recommended going with their “Deckless Balcony” this allowed a permit to be pulled to allow the install of the sliding window to enhance the view and open up more airflow. 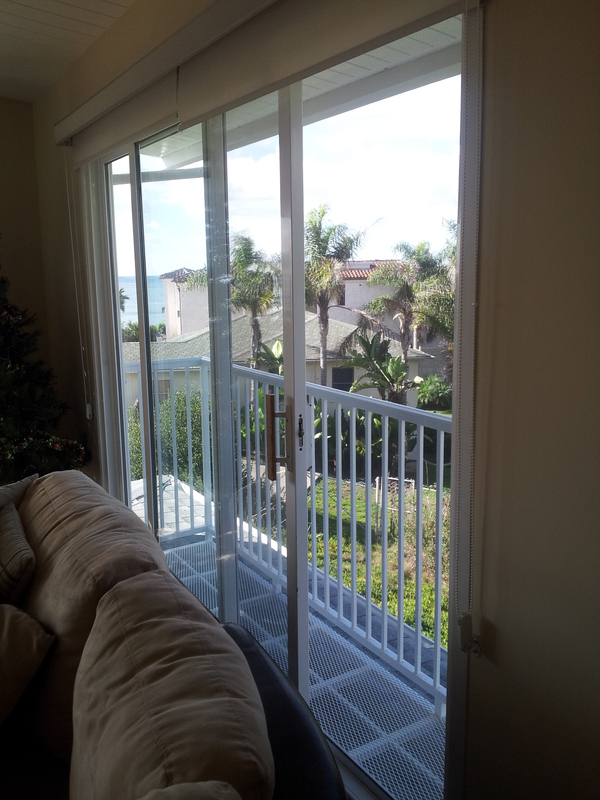 Then the “Deckless Balcony” railing system was installed and the homeowner met 90% of their goals. 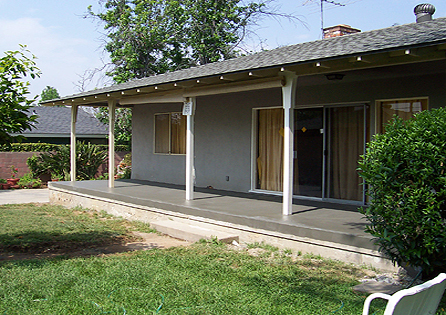 The homeowner was pleasantly surprised with how functional and easy the install was. 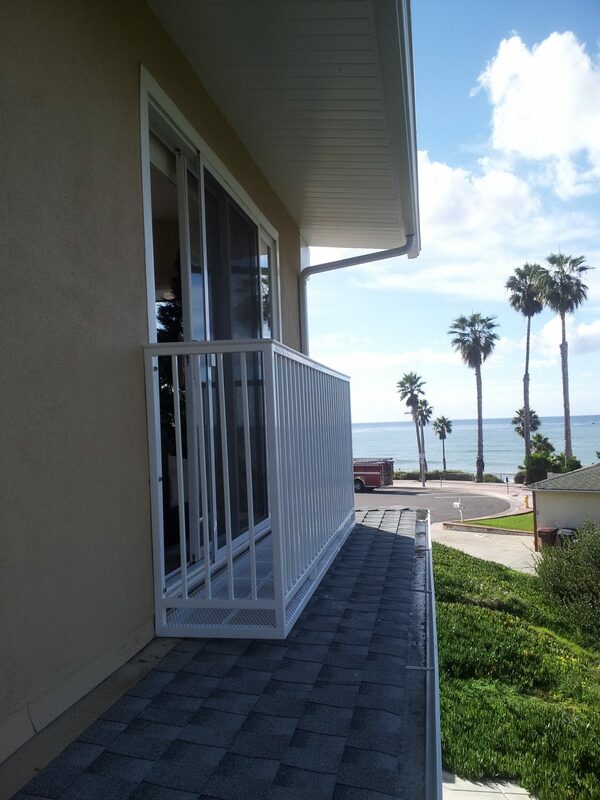 Please call Sun Boss if you would like a quote on your own “Deckless Balcony” at (951) 782 2360. 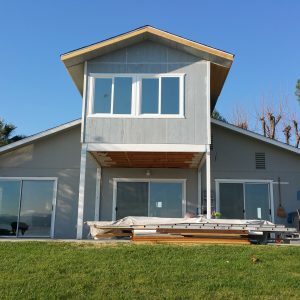 The “Deckless Balcony” is just that a self supported and engineered railing and platform system that is bolted all the way through the king stud of the house wall. 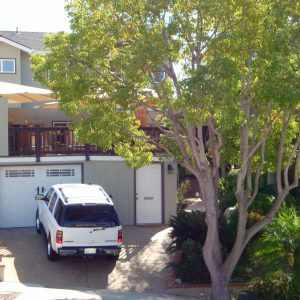 Each unit is custom built to your design and needs and is galvanized dipped and powder-coated right here in the United States of America. 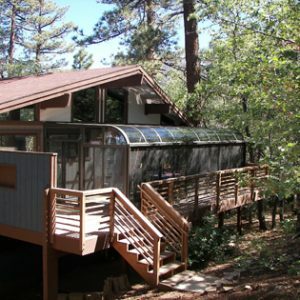 These units can be built and engineered for almost any size window conversion. The options are simple yet endless depending on how creative you want to get. 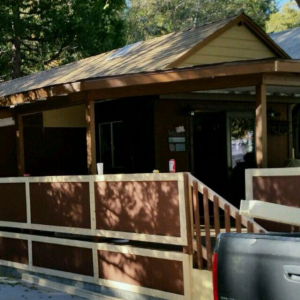 Designed to blend in with any style of architecture and taste.